Based on our perforated steel belts, these systems enable controlled dehydration by the flow of air through the product. Combined with the ability to adjust the speed of belt travel, this enables our drying systems to deliver as much as 50% reduced process time. The use of multi-stage drying units allows time/temperature curves to be optimised for products as diverse as potatoes, carrots, apples, orange peel, celery, garlic and tomatoes. As with all food processes, hygiene is critical in dehydration and this system delivers bacteria, yeast and mould counts far lower than other continuous drying methods. This is achieved through a combination of stainless steel material, belt washing device, simple offloading and easier cleaning than wire mesh or perforated apron belts. 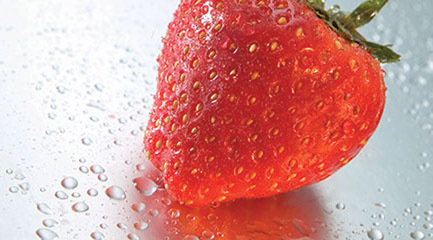 We can also supply dryers specially designed for drying of sensitive products such as cut strawberries, blueberries, pineapple, mango and more; and for handling a wide range of other fruits and vegetables, including partially frozen products. Delivering an end product with highly uniform moisture content, this system can also be used as a pre-dryer for microwave plants.